With digital technology, products can be designed to be hardware or software-based. Each type of platform has different advantages. Products whose architecture is software-based have an initial cost advantage, especially if the computing device on which the software runs has already been purchased. However, the software programs and the hardware they run on have relatively short life expectancies with supplier support typically lasting a few years. Software-based products are dependent on the hardware and operating systems that they run on being supported. Programs designed to operate on Windows 7 may not work on newer operating systems. One of the most popular software products in the music field has been Cakewalk, a program that includes multitrack sequencing and a digital audio workstation. In 2013 an American company, Gibson, acquired Cakewalk from Roland of Japan. 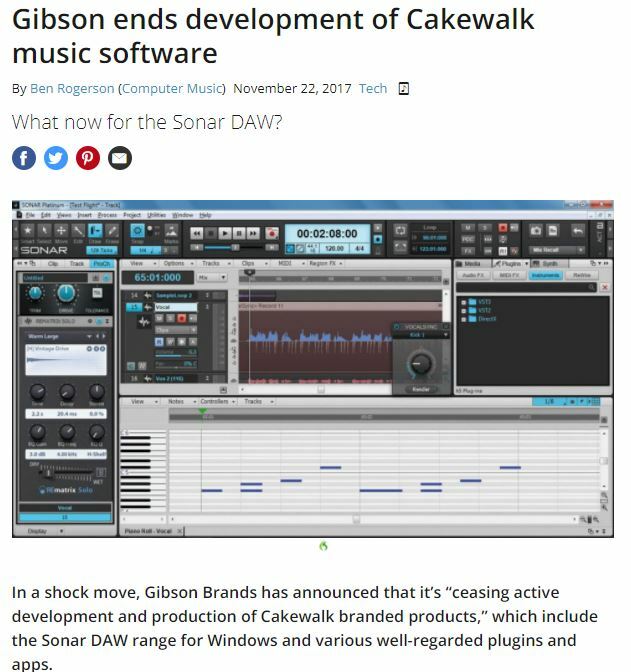 In November 2017, Gibson announced that it was “ceasing active development and production of Cakewalk branded products”. In other words, as computers and operating systems are upgraded, this program will become inoperable. Hardware-based products are initially more expensive than software-based products. While hardware-based organs also include software, this dedicated software is not dependent on third parties for support. The life expectancy of hardware-based products is typically significantly longer than those that are software-based, lasting as long as the hardware is supported. In the church organ field, hardware-based products serve for decades. Compare this to the life expectancy of a personal computer. Nearly all church organs are hardware-based because of the longevity and other advantages. Some software-centric organs are available and are often used as practice instruments. Often referred to as “virtual organs”, these systems require a personal computer and a software program, typically by Hauptwerk. They also require software sample sets and significant additional hardware including: keyboards, stop control mechanisms, MIDI interfaces, amplifiers, speaker cabinets, some form of cabinet to house these assemblies, and more. This amounts to thousands of dollars of additional costs. Hauptwerk sounds absolutely terrible! I would not rely on it,either! Why some swear by it is beyond me,..it’s not even a REAL organ at all. “Virtual organs” will have NO PLACE in my home,…not even as a practice instrument! Hauptwerk just plain stinks,and that’s all there is to it! An Allen organ? DEFINITELY! Hauptwerk “virtual organ”? Absolutely not! Someone here is not doing his job, or doesn’t know much Latin! It’s “versus” meaning “against,” not “verses” meaning poetic stanzas!